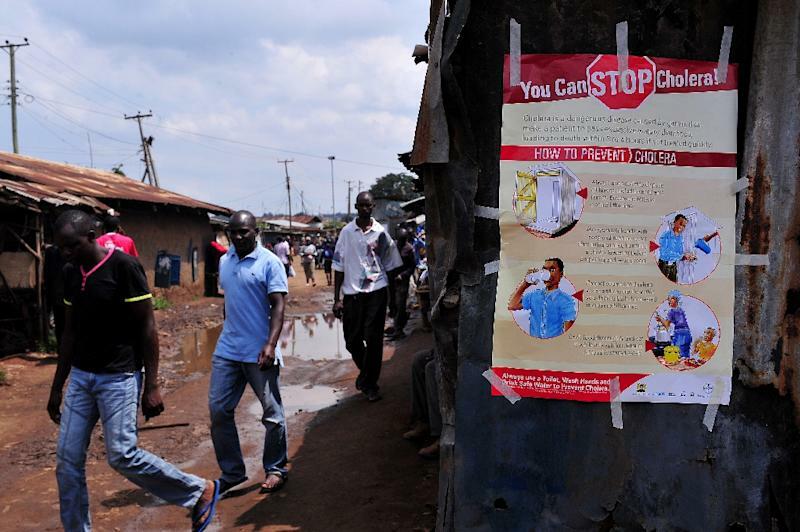 Nairobi (AFP) - At least 65 people are confirmed to have died in a nearly five-month-old cholera outbreak in Kenya, with infections also continuing to rise in the capital Nairobi, health officials said Wednesday. Health Minister James Macharia said 326 new cases have been reported over the past week nationwide, a nearly 50 percent increase over the previous week and bringing the total number of cases to 3,223. Five new deaths have also been reported in Nairobi over the past week. The rise in cases has been blamed on heavy rains in the capital and Rift Valley region that have polluted drinking water supplies, although cases have also been reported in the coastal city of Mombasa. Cholera, a highly contagious intestinal infection, is transmitted by water soiled by human waste. The disease leads to diarrhoea, dehydration and death if untreated.